Not sure which categories to list your blog in? Thank you so much for doing this. I was going to suggest “Eclectic” as the topic name for those blogs that touch on multiple, various and sundry topics. General works, I suppose. The original topics my blog was supposed to be about were healing and recovery from a spiritual perspective ~ Mental Health and Religion? However, it quickly devolved into more of an online journal and how I’m dealing with physical and mental health issues, difficult family relationships, and my processing. Now, it has even been caught up in the opposing gravitational pulls of two strong forces: Notes from a She-Hermit and A Clown On Fire. Go figure. Anyway, I’d love to have more feedback and conversations with others, so please visit me at Human In Recovery, http://wp.me/23WOs. I do some music, some travel and some general. I am thinking this may be the place for me. I like to jump between recipes, reviews, attempts at being intelligent and my weekly journal. Thank you Dotty for considering us who have little blogging direction!! My blog is about nothing. Send me money. My blog is called Splatter and its sub-title is Drips and Drops of Everyday Life so it covers a lot of subjects, many of them in an Historical context. The majority of my posts are translations from French into English, although I do write some of them directly. They cover many topics. There is some flash fiction (every Friday) occasional poetry (not very often) some Memoirs (called Hindsight and posted irregularly). A lot of it deals with spirituality and paranormal, parpsychology and generally exploring the workings of the human mind, often in an Historical context as stated above (i.e. a trip in a UFO in the IXth Century). All of this to say that my blog probably fits into four or five different categories. I am difficult to categorize, and my blog is even more so. I write a lot of autobiographical, some humor, some horror, etc. Whatever or however I am feeling at the moment determines the type of post I will create. Thanks for this great site, a great way way to get out there! I like words. My favourite word is happy. I write about ordinary things & day to day life, past & present, people & places. I didn’t find a “life” category, so I guess “general” will do the trick. I make people laugh, but have a splash of real life situations that need to be addressed and discussed. There are things in life only we, the BLOGGERS, can fix. LOL, or die trying! there’s a lot of swearing in it, but it’s all integral to the plot……………. On a journey (quest – see I’m “punny” too!) to find answers, looking for companions on the virtual road. I’m including my blog here because I write about LIFE- which for me involves food, drink, travel, entertaining, finding joy in the every day, my dog, my friends, my cute little trailer, my upcoming wedding… basically everything. Thank you for doing this! Thanks for this one! Great idea. I blog about my random views/thoughts, travel and book & movie reviews occasionally. Oh God. I’m in serious confusion about what to put my blog under! I do a little bit of everything. Just trying to get my opinion out there! I have a query – I’ve followed your blog and added myself to three categories. What am I going to see in the Reader as your home page has no blog posts? Oh – I’m not sure. Do you mean the WordPress Reader? If so, you should see the new posts. I think a lot of people get email notifications of posts but they come back regularly to check the categories for new blogs to read. Take a peek at my space on the web. I would like to add my blog, http://www.justiceforraymond.wordpress.com to to your list. I am writing about the long ordeal of navigating the legal, justice and political systems to obtain public information relating to a sudden, unattended death of my son, Raymond Zachry. Frequently, between court and investigating issues, I do re-blog from other WordPressers that have been supportive and write about interesting subjects. My blog is Empowering Youth Entrepreneurs at http://www.julianeiman.com/blog. I participated in a blog challenge in July and wrote my first book, 31 Powerful Lessons: Empowering Teens and Young Adults to Develop an Entrepreneur Mindset. I’m currently using the blog to write my second book, Pick From The Passion Tree. It’s about empowering young people to determine their passion and identify a business or businesses they can build in alignment with those passions. It’s my way of addressing the enormous youth unemployment crisis. Nice blog first of all. Inspirational, heart-felt, courageous and good Samaritan stories to show that the world is actually a good place and that there are good people in the world. Earth’s Salvation is also an informal blog. Earth’s Salvation is near but people still ignore it or don’t know about it. I run and I breathe and I’m branching out because there is more to share. Hi. My blog, downhousesoftware.wordpress.com , is primarily about science and science education, but I also post about my bitty little company and how I work to make educational ebooks and software. I hope you can stop by. Leave a comment! Personal stories, random thoughts, and amateur photography. http://theuniverseandmeblog.wordpress.com/ – Fairly new in the blogosphere, here to provide my commentary on life, from beauty and fashion to film and music, philosophy and general musings. Hi, I’m Karen. I blog mainly about mental health (I have PTSD and either schizoaffective or psychotic bipolar disorder) and therapy, but also about other nonsense – writing, books, TV, politics, physical health, blah blah. Hence ‘General’ as well as ‘Mental Health’. Well hello there, fancy meeting you here 🙂 You know I love your blog! Yup. General bloggery. Along with book promos, reviews, and giveaways. Do stop in. Please feel free to visit my blog at http://dipoblog.wordpress.com/. http://andraborcea.wordpress.com This is my personal blog! I love to write very much and i put my soul in it!Hope you will enjoy it! Kisses! I write about so many different things that it’s difficult. Mostly though, I try to see the lighter side of life. We all need a laugh at the end of the day. http://therantingpapizilla.wordpress.com/ I post just about everything. Reviews(Movie/Book), Poetry all kinds of different topics. my blog is about marketing, advertising and social media. I’m a marketing student and I’m from Mexico City. My blog, speaks my heart. Thats pretty much it. Am so glad you have a general category too! I write fiction but also about random things that interest me. Not sure to which category my blog belongs …commented in the thoughts/reflections but on a second thought I feel that my blog fits better in this general category. The chronicles of a twenty something girl madly obsessed with fiction and extremely uncertain about future. A team of bloggers in a challenge for global reach. Yep, just some general ramblings. That’s my blog “Arbitrary Flights of Fancy”. Hi! I am Clari and my blog showcases bits of who I am, what I do and what I love to do. Hey there! My name is Mark in case you haven’t figured that out yet! I like to write blog posts about things I find interesting, helpful and funny. I hope you’ll enjoy reading them as much as I have writing them. My blog explores what it means to be a Grandmother, so I commented on the Family section. But there seems to be more to it than just children. As the first commenter wrote, it seems a bit ecclectic. My blog is called Randomness 411, and, as the name implies, I blog about anything and everything, from music, to movies, to quotes, to pictures, to random facts. Come check it out! Thanks so much! I’ll pass the word. 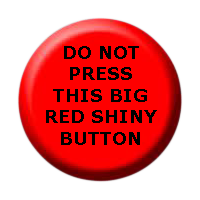 I could not, however, find where to get the button for the Big Button Collection. Any help for that? Thanks. Thanks for this opportunity. My blog is a fun facts blog where I share fun facts and knowledge that I stumble upon whilst working on my various writings and projects. Check it out if you have a moment or two. Cheers! Really.. thank you for starting this up. This site is one thing that’s needed on the internet, someone with some originality!